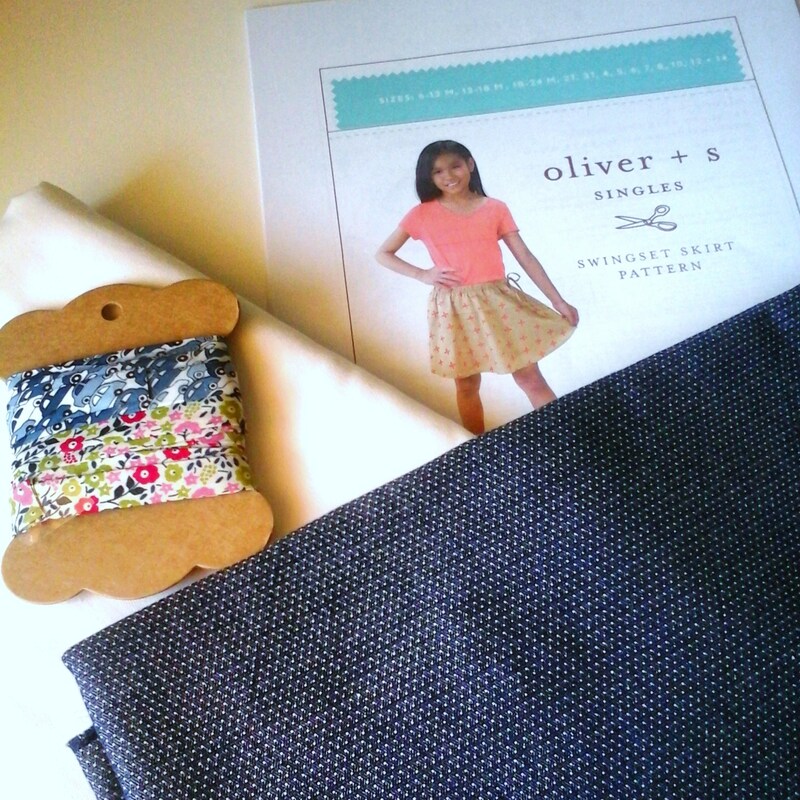 I was lucky to “discover” Oliver+S patterns shortly after their initial debut (in 2008). My first purchase from their initial collection was the Tea Party sundress, quickly followed by the Puppet Show Tunic and Shorts (truly a must-have) and the Bubble dress. However, the Swingset Tunic (and Skirt) never went into my shopping cart! Mostly due to the fact that, for me, skirts and babies/toddlers don’t work very well, this pattern was not on the top of my list. Plus, and because the original pattern only went up to size 5, it was soon surpassed by the new releases (featuring more sizes). Still, I kept wishing this pattern was available in bigger sizes and, finally, this season and updated and expanded (up to size 14) version of the Swingset skirt was released! (PS. I still keep my fingers crossed for an updated version of the Swingset tunic). I had plans for it ❤ IG photo: Robert Kaufman pin dots in indigo, ivory voile for the lining and Liberty bias tape. I purchased the digital version (I do love/prefer the paper versions, but international shipping can be highly dissuasive) and soon afterwards a Swingset skirt was ready to be worn. I selected a size 7, based on my girl’s waist measurements, but to be honest I should have gone a size up or added a couple of inches to the lenght. The skirt is a bit on the short size, but, trust me, this girl couldn’t care less. This is her current favorite skirt and the fact that is short only adds to the allure. 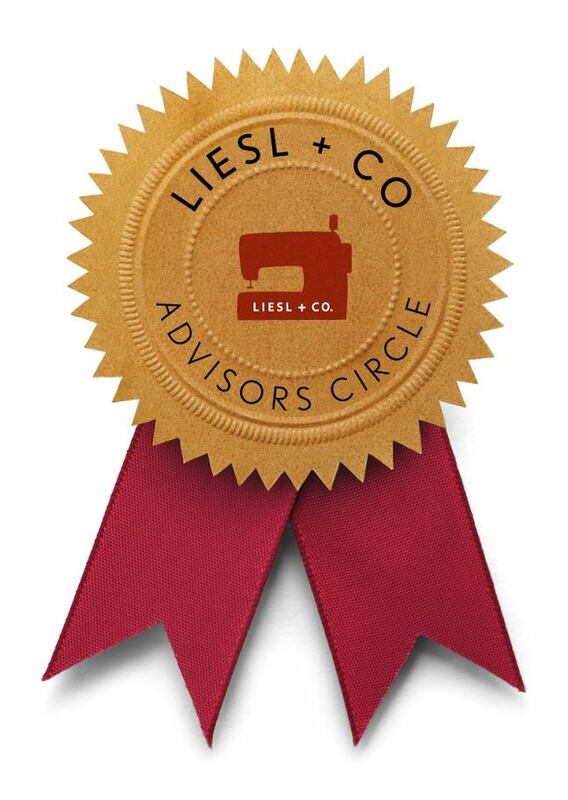 I’m not quite sure if I will be joining the Swingset Skirt sew-along that starts today, but if the Swingset skirt is still missing from your “sewing curriculum” I strongly advise you to take a look – plus, there’s a linky party with a fab prize (not disclosing it. You do have to take a look). I love the outfits you make! I am getting so many wonderful outfit inspirations to make for my granddaughter. Eles crescem… buááá (isto sou eu emotiva) 😉 está linda a saia, o tecido é lindo Ana. Perfect! Glad you went there, and isn’t it quick?! Yet it’s still a lovely, finished skirt. Thank you Maria João! I also love the bow detail – it’s probably my favorite part of this skirt. It is a beautiful skirt! I agree with the shift in fabric choices for older girls. As my daughter gets older, she wants to choose the same fabrics as me, simple and not childish. She still sees something with sparkles/unicorns on and says ‘oh please mummy’. Sometimes I relent, sometimes I reason with her…. Well this is just perfection! Love that Liberty drawstring! Such a nice touch!